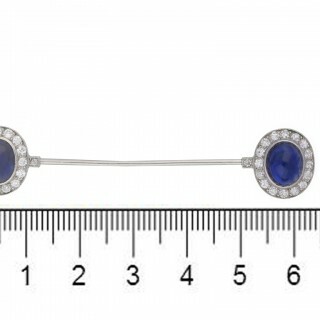 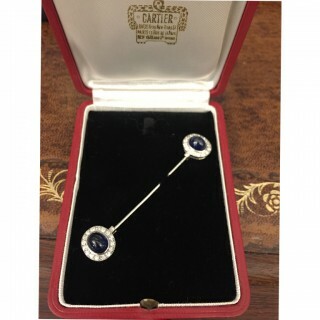 Cartier sapphire and diamond jabot pin. 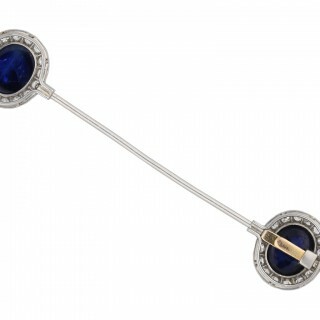 Set with two oval cabochon natural unenhanced sapphires in open back rubover settings with a combined approximate weight of 5.00 carats, surrounded by thirty six round eight cut diamonds in open back grain settings with a combined approximate weight of 0.90 carats, to an elegant jabot pin featuring two oval clusters at either end with decorative millegrain borders, open linear galleries and fancy backholings, connected by an elegant single central pin, the lower cluster is detachable, approximately 6.8cm in length. 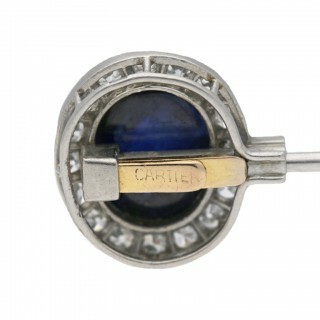 Marked platinum, maker’s mark ‘HG’ for George Harnichard, signed ‘CARTIER’, numbered ‘9745’, French, circa 1915, supplied in fitted case. 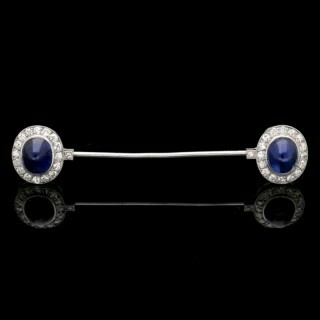 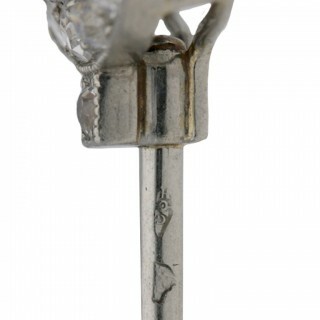 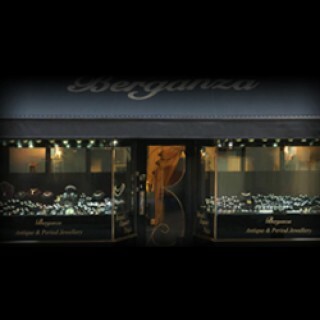 George Harnichard specialised in fine diamond and coloured gemstone set platinum jewellery. 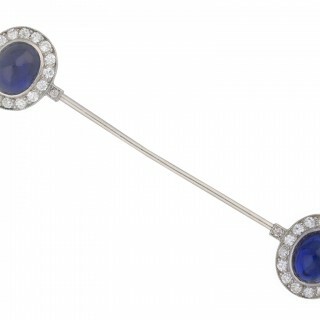 The Harnichard workshop was one of the six jewellers who worked for Cartier in Paris between 1900-1918, the firm also created fine jewellery for the aristocracy of Europe before World War I.
Cartier sapphire and diamond jabot pin, French, circa 1920.